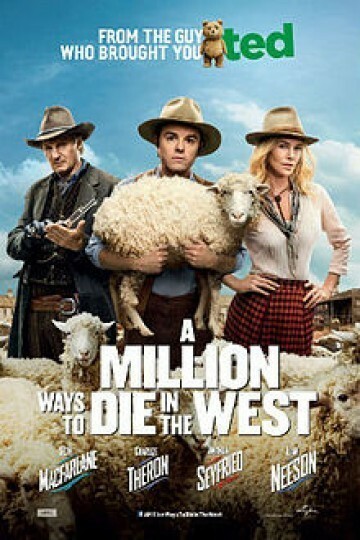 is a Western comedy that was directed by Seth Macfarlane. He stars in the film as well with Amanda Seyfried, Neal Patrick Harris, Giovani Ribisi and Liam Neeson and Charlize Theron. Universal Picture distributed the movie while Media Rights Studio Capital produced it. Seth MacFarland directed, produced and starred in this movie. He is mainly known for creating cartoons like Family Guy and American Dad. He did direct movie called Ted. He also hosted the Academy Awards once. So far, this movie has made about $22 million dollars in North America and about $10 million internationally for a total of about $32 million dollars. On its opening weekend, the movie made about $17 million. The studio expressed the hope that the movie would make about $25 million on the opening weekend. A Million Ways to Die in the West is currently available to watch free on FOX and stream, download, buy on demand at FX+, Amazon, Vudu, Google Play, FandangoNow, iTunes, YouTube VOD online. Reports say that Penn popped the question this month during a trip to Paris.